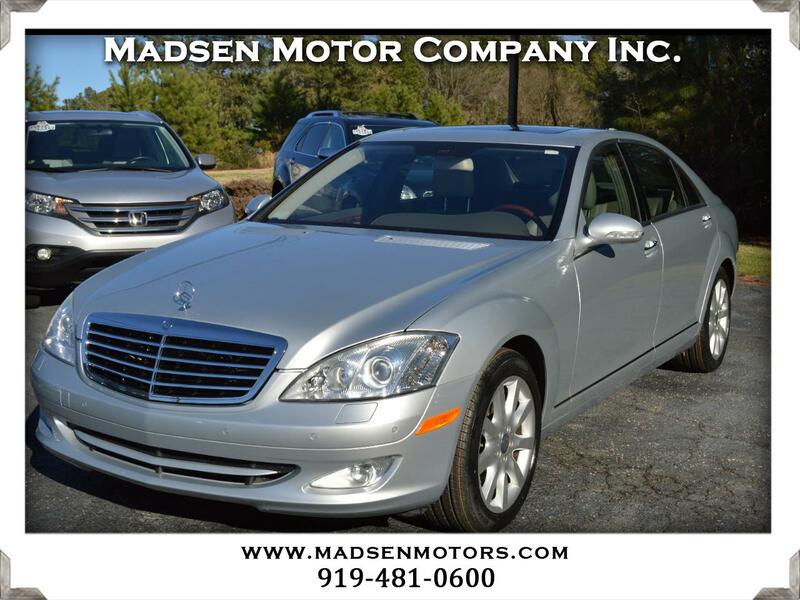 Used 2008 Mercedes-Benz S-Class S550 for Sale in Raleigh, Durham, Cary NC 27511 Madsen Motor Company Inc. Here's a rare find: a very low-mileage 2008 Mercedes S550 Sedan in classic Iridium Silver Metallic with Grey Leather. This exceptional local car was traded in by one of our long-time customers and it is well-equipped with COMAND Navigation System, Premium 1 package (Heated and Ventilated Front Seats, Electronic Trunk Closer), Premium 2 Package (KEYLESS-GO, Parktronic Audio-visual Parking Assist), Bi-Xenon Headlamps with Active Curve Illumination, 382-HP 5.5-liter V-8 Engine, and much more. It comes with a clean, 2-owner CARFAX history and 3 months/3,000 miles (whichever comes first) of coverage on the Engine, Transmission, and Drive Axle Assemblies with a $100 deductible per repair visit. Buy with confidence from Madsen Motor Company - voted ''Best Pre-Owned Car Store'' 4 years in a row in the Best of Cary awards!